Feeling stuck in a rut can be stifling, distressing, and make you feel powerless or hopeless. But there’s hope! 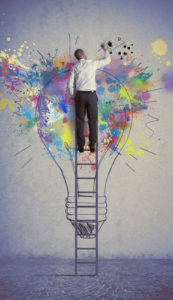 Here’s how new ideas can get you back on course. I was listening to a friend talk about her childhood. She grew up in a city, surrounded by streets and buildings. She talked about how in the middle of a certain street there was a break in the concrete and a tree grew up through the ground. This tree was so unique that if you drove that street, you would have to drive around the tree. That tree lived and thrived, even though everything was aimed against it. And that tree was full and amazing, even though it had to squeeze itself through cracks in the street. She used this story to ask us if we had our own concrete that keeps us from growing. Could we break through our concrete, if it was holding us back? I thought of this analogy while working with a couple recently. They are in a holding pattern. 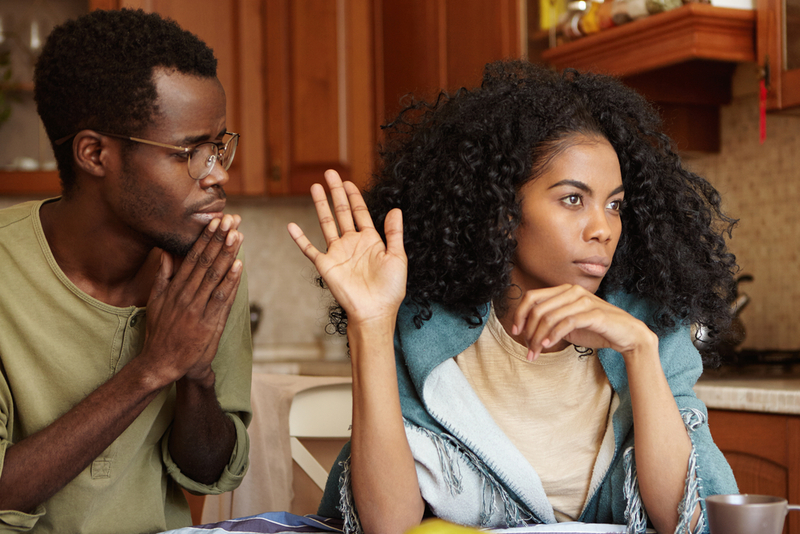 Both feel stuck: stuck in the way they see each other, stuck in their responses to one another, and stuck in the feelings that they carry around, caused by their interactions with each other. The help I am giving this couple is to suggest that everyone gets stuck, that’s just part of being human. The trick is to figure out how to get unstuck. And sometimes all it takes is a new idea. Let’s say you are frustrated with what is going on in your life. You probably know all the details of this frustration inside and out. You can likely repeat them to others who will listen. This is also something we all do. But to get out of the loop of feeling bad and talking to others about it, we have to do something different. We have to have a new insight or discover some other quality in the person or situation we are upset with. Just a slight change can result in something entirely new. Like with the couple I am working with. The wife is unhappy. She wants to feel more loved by her husband. He loves her very much, but she can’t feel it. I suggested to her that she remember she loves him too. What would it be like if she acted more loving towards him, instead of waiting for him to act this way towards her? This is just a suggestion, but when we talked about it, I could see her eyes light up and her face relax. I believe she was starting to think about what she could do. This thought alone is enough to change the situation. One thought leads to another and so forth. Just like that little sapling that poked its head out of the ground in my friend’s hometown. I am pretty sure that little tree didn’t think about what was coming next, it just found a way to grow and grow and grow. All of us have a tremendous life force living inside us. Use yours to grow. Use yours to do something new. Who knows, you might just become something mighty too, strong and courageous, just like a tree. Tired of Being Stuck in a Rut? Here’s How to Make Progress Today! Get a helping hand expressing your needs and where you feel caught, by reading Linda’s book, Safe. Happy. Loved. 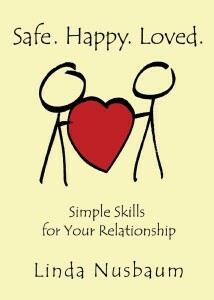 Simple Skills for Your Relationship. It just might help you express yourself in a positive and constructive way, so you can solicit feedback and ideas on how to reach your goals, have your needs met, and feel happier overall. Give it a read.